Vimizim said to be only enzyme replacement therapy for inherited disease that affects major organ systems in the body. Thousands of patients also demanding the restoration of unique pain treatment to the reimbursement support. 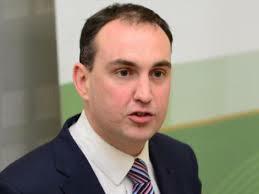 A TD is urging Health Minister Simon Harris to add the only drug available for the treatment of Morquio Syndrome to the Drug Payment Scheme. The disease which Marc MacSharry has described as “ultra-rare” is an inherited condition that affects major organ systems in the body. Vimizim, produced by Irish drug company BioMarin, is said by the manufacturer to be the only enzyme replacement therapy to address the cause of the disease. 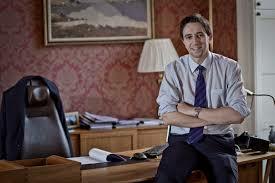 MacSharry said he had met some of the patients using Vimisim last year during a visit to the Oireachtas. The medication, he said, is obtainable in Northern Ireland, the UK, France, Germany and other countries. “If they are acknowledging that the drug works, I see no reason why the HSE Drugs Group should not also accept the evidence and ensure continued access to the drug. MacSharry said he was calling on the Minister for Health Simon Harris, “who met with the two girls in the Oireachtas before Christmas,” to make a commitment to ensure that the drug will be reimbursed by the HSE and that patients who need the drug will be able to have access to it. 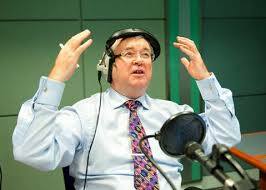 Meanwhile, a storm of protest has followed restrictions placed on a treatment for pain, known as Versatis. The RTE Joe Duffy radio show has been almost overwhelmed as wave after wave of patients suffering “unbearable” pain have publicly voiced their distress over the decision of the Medicines Management Programme to clamp down on access to the treatment. 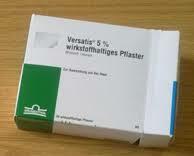 Versatis, a Lidocaine medicated plaster, is licensed for the symptomatic relief of neuropathic pain. It belongs to a group of medicines known as local anaesthetics. The plaster, placed on the skin, is understood to work by blocking the pathway of pain signals along nerves. Hundreds of patients ringing the radio show have spoken of the pain relief they have experienced arising out of the use of the plasters. Many mentioned that the plasters were effective where all other treatments for pain had failed.